Free Games! Free Concessions! Petting Zoo! 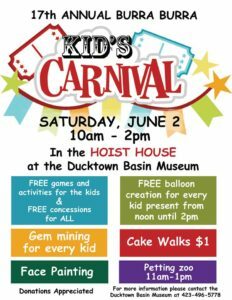 Free Admission to the Ducktown Basin Museum all day! Rain or shine, 10am-2pm at the Hoist House.